Bust size: Measure around your chest, at the fullest point of the bust (not under the bust). Waist size: While standing up straight, bend at the waist to one side. The crease that forms is where your natural waist is located; measure there. Hip size: Standing with your feet together, measure around the fullest part of the hips. We would advise that you order a size 12, and get the dress altered down to custom fit your body. 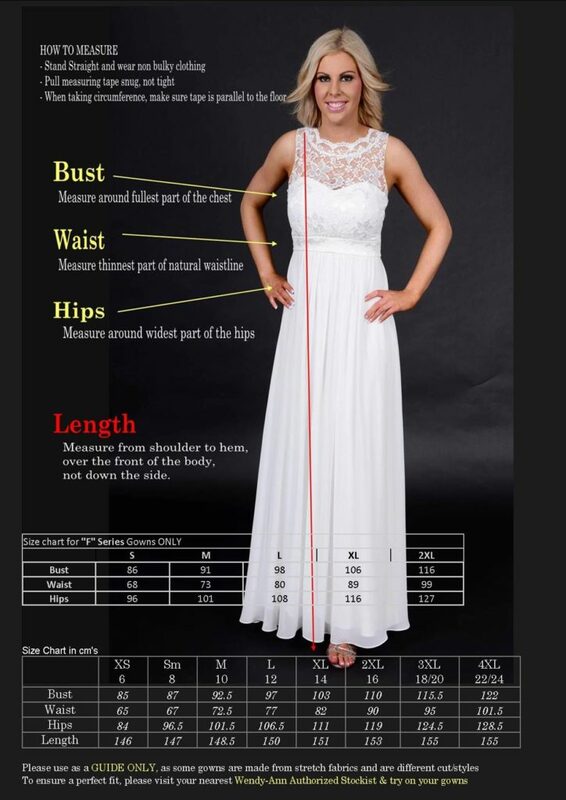 Ordering the size that fits your largest measurement will ensure that your dress has the most flattering fit possible.